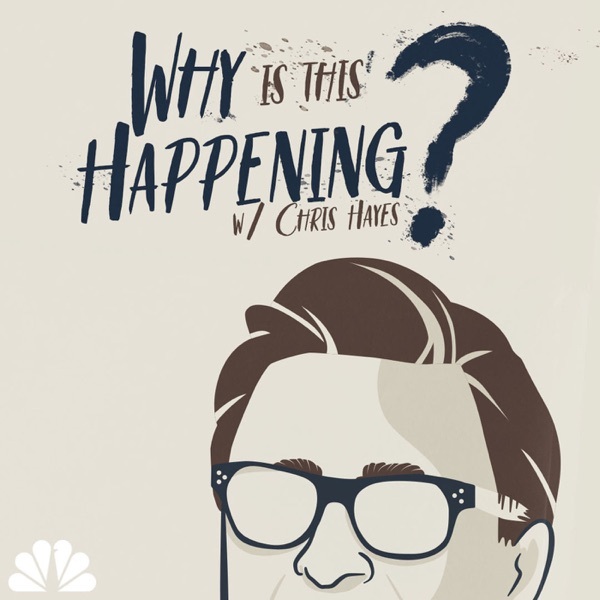 Listen to Rachel Maddow talk about her new podcast, what it’s like to be covering the news in this political moment, how we can use history to make sense of current events, and why are you even still reading this description – it’s Rachel and Chris! What more do you need to know! I enjoyed this so much. Keep it up. Don't worry..you are both doing this just fine! Curiosity, tenacity, empathy..and FACTS! Thanks for being there and for the history lessons. I could listen to Chris Hayes and Rachel Maddow everyday ! Love both shows and thoroughly enjoy both podcasts ! Thank you for sharing your insights, knowledge, and beautiful personalities. Respect for the platform. Awesome! That's why I listen to both of you. Please invite Rachel back! Oh my! This was so amazing to get this clear and humble insight into both of you. May I say, I love you both. Oh now, stop that! Agape love! I'm addicted to your shows and podcasts and feel very unsettled if I have to miss even a segment (especially Rachel's Segment A)! You feed off of each other so well. Once the numbers are run and the EPs (you, plural?) are convinced that having you together on a podcast is Worth It, I'll be advocating for an hour every 4-6 weeks. I know that's a lot, but this is your back story and serves a very different function. If I knew how to be more glowing, I would be. Nicely done. Great Pre-Thanksgiving podcast. I have learned a great deal from all of your podcasts discussions. Thank you! Loved it! What a gift to be able to get a glimpse into Rachel the person as apposed to Rachel the News personality. What a beautiful soul she has. Both personas are very special. Peace and Blessings!! Enjoyable and enlightening. Loved it! Larry Williams Great podcast Chris and to have @Maddow on here was genius. I've listened to all of Bagman, it was very enlightening and informative especially considering the current US political climate.